Tami received her degree of Associate of Applied Science (PTA) from Carroll Community College, Westminster, Maryland in 2004 and her National Massage Therapy certification in 2008. 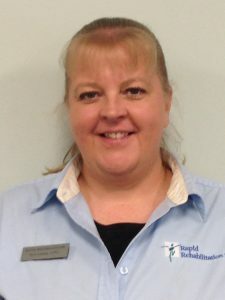 She has extensive experience as a physical therapist assistant but has a special interest in helping patients with fibromyalgia. Tami grew up in Michigan and moved to Maryland in 2003 and then to West Virginia in 2014. In her spare time, she enjoys reading and spending time with her children and grandchildren.